The Courts are increasingly clarifying and elaborating this. As in the case hereunder. Whether a lease deed, where the term of lease stated therein does not exceed one year, requires to be registered under the provisions of the Registration Act, 1908 is the question that needs an answer in this writ petition. S.4. Enactments relating to contracts to be taken as part of Contract Act and supplemental to the Registration Act. All other leases of immovable property may be made either by a registered instrument or by oral agreement accompanied by delivery of possession. S.17. Documents of which registration is compulsory. 4. As could be seen from the above quoted provisions, all leases not covered by first para of S.107 of the T.P. Act may be made either by a oral agreement accompanied by delivery of possession, or by a registered instrument. A lease, the registration whereof is not compulsory under S.17(1)(d) of the Registration Act, becomes compulsorily registrable, if reduced into writing in view of second para of S.107 of the T.P. Act read with para 2 of S.4 thereof. A written unregistered lease of immovable property, even though the term of lease stated therein does not exceed one year, is inadmissible in evidence in view of S.49 of the Registration Act, 1908 read with second para of S.107 of the Transfer of Property Act, 1882 & second para of S.4 thereof. 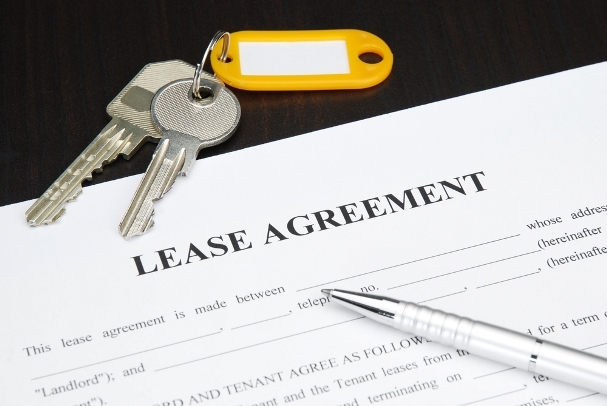 A lease for a period of one year falls within the expression ‘All other leases’ stated in para 2 of S.107 of the T.P. Act and may be made by a oral agreement accompanied by delivery of possession. 6. At this stage, learned counsel for the petitioner by relying on the proviso to S.49 of the Registration Act, submits that the proviso permits the petitioner to produce the lease deeds as evidence of any collateral transaction not required to be effected by a registered instrument. The counsel is right in his submission. Accordingly, the petitioner is at liberty to apply to the trial Court by specifically stating the collateral purpose for which he wants to produce the lease deeds. If such an application is made, the trial Court shall consider the same in accordance with law. So, if you have an ORAL AGREEMENT of one year or less that is fine but the moment you reduce it in writing for evidentiary purposes it will require registration !! And for what ” collateral purposes” will that UNRegistered Lease Deed be valid is not clarified !! So, BETTER to get all Lease Deeds registered ! « Loan your cash at your risk – S. 138 may not help you !